Like all martial arts movies it all comes back to Bruce Lee. Namely his last film Game of Death, in which the kung-fu legend ascends a building fighting different adversaries on each different level, concluding with his infamous battle with 7 foot 6 inch basketball legend Kareem Abdul-Jabar. It was a film that had a large influence of martial arts video games and now that influence has come full circle, for The Raid is the best example of a video game structured action thriller that is sure to bring about a new phase in the martial arts and action genres, hopefully killing off the tired theatrics of shaky cam filmmaking. The film beings with a squad of Jakarta’s best cops on their way to an assignment from hell. The severity of the situation is frankly put: they have to infiltrate an apartment tower of impossibility, inhabited by the city’s worst criminals and run by the sadistic drug lord Tama (Ray Sahetapy). The main star of the film is Iko Uwais. He plays Rama, a rookie cop with his own agenda who ploughs through the various thugs out for blood, and do they mean business as machetes, guns, knives, hammers and rapid fire fists are utilised. To say The Raid is a brutally violent film would be the understatement of the year. There is enough blood shed to give Dracula an overdose and the hand to hand combat featured is brutally depicted. This is due to the style of martial art featured, the Indonesian created Pencak Silat. A perfect blend of street fighting ruggedness and athletic finesse, the style is perfect for action films and brings about a new evolution in the wake of Bruce Lee’s Jeet Kun Do and Tony Jaa’s (Ong Bak) Muay Thai. With Uwais the ambassador of Pencak Silat, he is sure to become an international star with his baby face looks and lethal moves. This is not the first time director Gareth Evans has brought forth Uwais and his Pencack Silat fighting style. They previously collaborated on Merantau, a little seen action movie. The Raid is sure not to follow the same fate. Not only is it the most electrifying martial arts action film seen in some time, but it’s also a top class thriller with a tension that is at times unbearable and menace that is palpable. 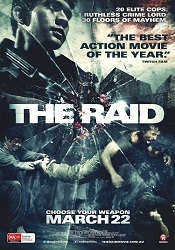 Gareth Evans has delivered quite the action thriller with The Raid. 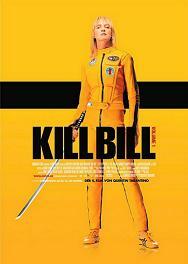 Its premise is brilliant in its simplicity, its hero worthy of our cheers and villains deserving of our fear and scorn. Shaky cam is dead. Long live this new era of action cinema.